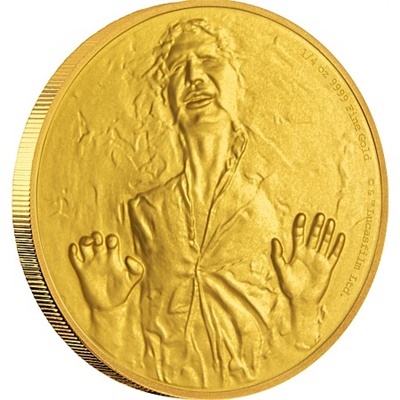 This stunning engraved 1/4 oz gold coin features the face of Han Solo frozen in carbonite, as in the 1980 release of Star Wars Episode V: The Empire Strikes Back. 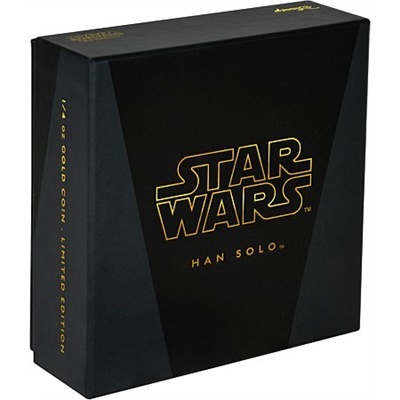 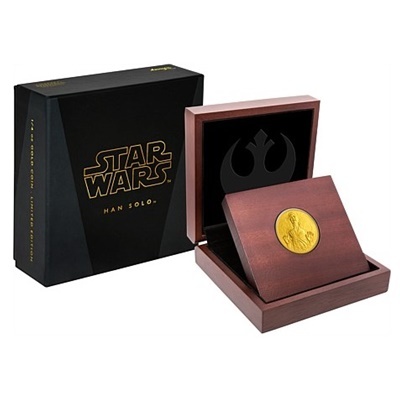 The Han Solo 1/4 oz Gold Coin comes presented in a high-quality Star Wars branded and stylized inner coin case and themed outer coin packaging. 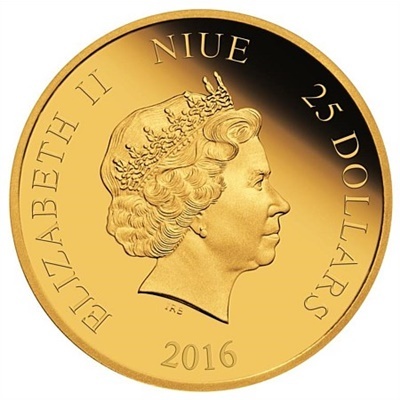 The Certificate of Authenticity sits within the coin case and there is a worldwide limited mintage of only 1,000 coins.